From Shona Armstrong, Claremont PTA president. The Oakland Education Association (OEA), the teachers’ union, will strike beginning this Thursday, Feb. 21. I know this will be disruptive for many families, teachers and staff. The PTA wants to help. Ana Sofia Tudose has kindly volunteered to act as a liaison between teachers and families and can best answer strike-related questions. She can be reached at anamisicu@gmail.com. 1. Academics and sports: Teachers are not giving out any homework assignments or packets during the strike. Sports: During the strike, all middle school athletics will be canceled. 2. Positive Political Action: If you wish to send a message to legislators about seeking a solution to the impasse, contact your school board representatives and state representatives to urge action. Sign and forward these petitions (one here and the other one here) asking the State for specific legislative fixes that will support OUSD in controlling its finances so it can pay a reasonable salary to teachers. B. JOIN THE PICKETS, ATTEND RALLIES, WITH KIDS – Remember LA rallies and their impact! If children join picket lines, an adult must be with them. Rallies are usually downtown 11:30 to 1:30 each day. C. Write or call the school board and state legislators expressing your support for the teachers’ cause. Here is a list of emails and phone numbers of people who have the power to change the situation. D. Volunteer to help the Claremont teachers during the strike. Here is a list of volunteer opportunities during the strike. E. Donate to the efforts of the strike. Wear red. Buy a strike T-shirt, and donate to the strike funds at the same time. Contribute to Bread for Ed. – an initiative to feed students and teachers during the strike. Go Fund me page for Strike funds. 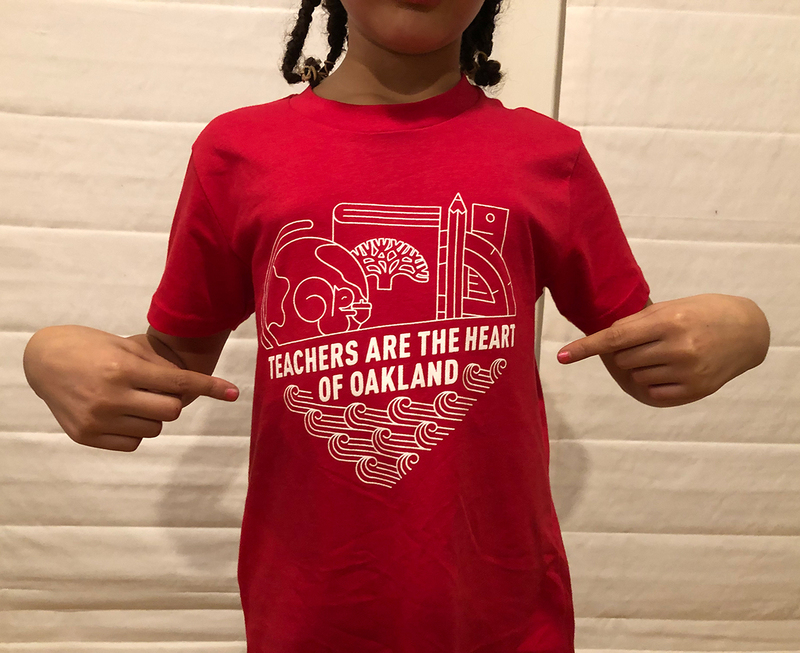 All proceeds will be deposited into the Membership Assistance Fund savings account and then disbursed to Oakland teachers by an appointed committee (per OEA bylaws) in the form of needs-based grants, in the event of a strike. Posters! Print and post in windows, share with businesses and share on social media! What does the strike mean for parents. A great guide created by parents. Live updates about the strike on the union’s Facebook page. District one-pager about schools, after school programs and other services during the strike.